Rev. Dr. Chares A. Smith was born in Philadelphia, PA., and raised in Waverly and Surry, Virginia. He attended public schools in Virginia and Pennsylvania. He is a retired member of the U.S. Air Force, and the US Postal Service. He received the Lord Jesus Christ as his personal Savior at an early age in Waverly, VA., and was baptized at the age of 7, at the Rose of Sharon Apostolic Church in Waverly, VA.
Gordon-Conwell Theological Seminary, and received a Doctor of Ministry Degree in May 2003, through Andersonville Theological Seminary. Through the Center for Biblical Counseling, he received a Master of Arts in Caring for People Gods Way. 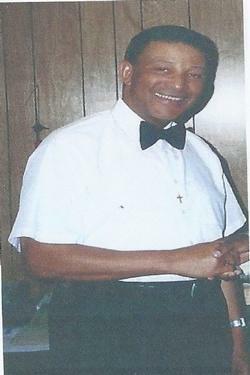 He was ordained to the ministry on November 23, 1997 at Pond Street Church, after being licensed to preach in December, 1990 at Olney Street Baptist Church, where he served for 12 years as a Deacon. He is a lifetime member of the Air Force Sergeants Association, Veterans of Foreign Wars, a member and Past Master, Celestial Lodge #2, and 32nd Degree Prince Hall Mason. Rev. Smith is married to Deaconess Frances Smith, now deceased and the Lord blessed their marriage for 58 years with four sons (one son is deceased), three daughters (one daughter is deceased), fourteen grandchildren and twelve great-grandchildren. On November 14, 1999, Rev. Smith was called as Pastor of the Historic Sheldon Street Church by the church body, the position he now serves in ministry.